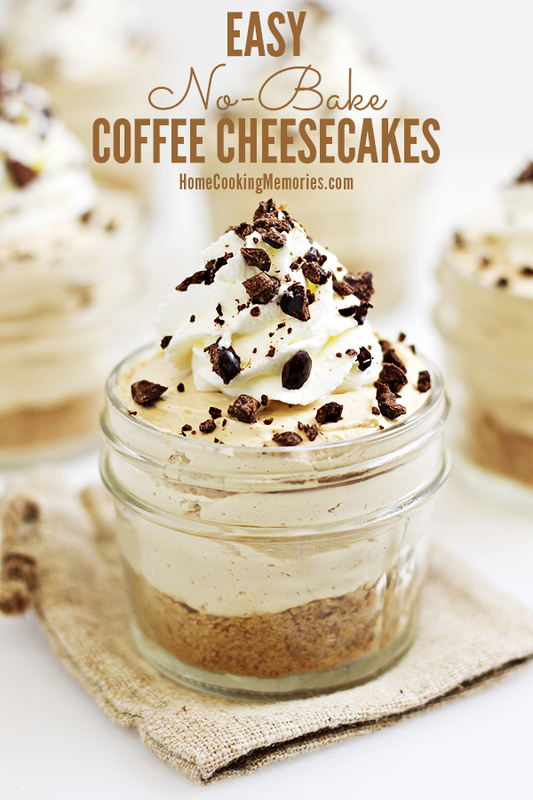 Coffee lovers, this is for you: Easy No Bake Coffee Cheesecakes Recipe! 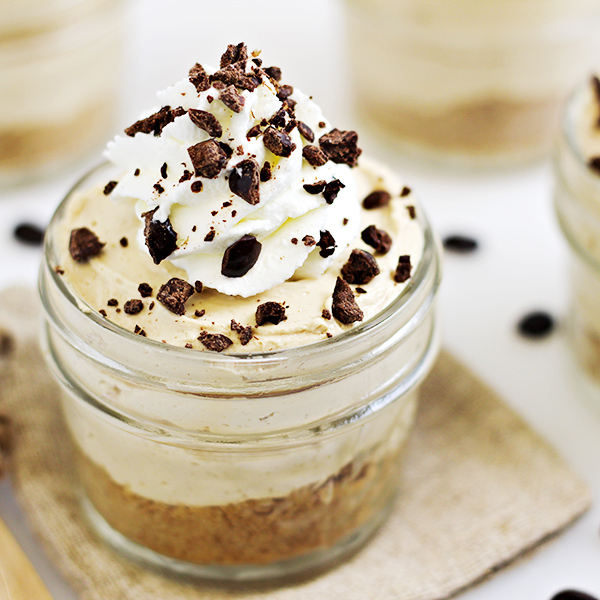 You’ll be able to make these flavorful, mini dessert cups in less than 30 minutes. 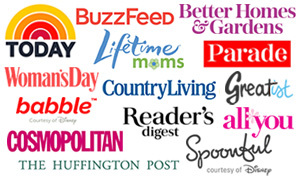 Disclosure: This post contains compensated affiliate links that help to support the work on this blog. 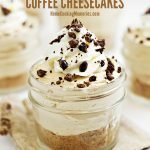 This Easy No Bake Coffee Cheesecakes recipe is just another example of how a dessert can be so simple, but can still make an impression. I made these last week and everyone that I served these to was raving over the flavor of them. When I added that they were super simple AND featured Starbucks coffee, they were practically begging for the recipe. This recipe will take you just 30 minutes (or less) to make. And if you love coffee, like my family does, you will be even happier with this. You’ll only need a few ingredients and there is only a handful of steps. To make my Easy No Bake Coffee Cheesecakes recipe, you’ll first combine crushed graham crackers with a bit of melted butter and sugar. This mixture is divided up into small cups, glasses or bowls. I used small 4-ounce canning jars. 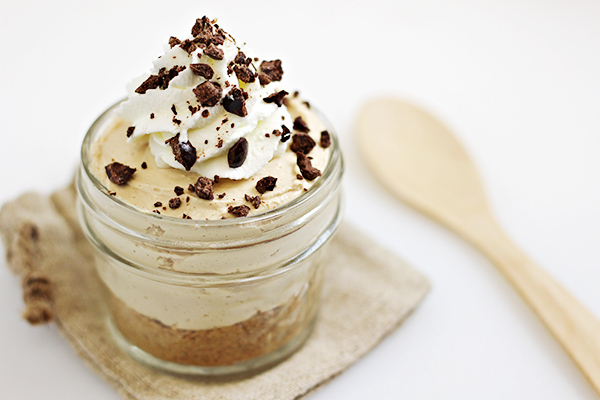 To give your No Bake Coffee Cheesecake a top notch coffee flavor, you’ll need 1 packet of Starbucks Via Instant Coffee. As you might know, no-bake cheesecakes tend to be softer than baked cheeesecakes, so you wouldn’t want to use actual liquid coffee in this. The dry packet of Starbucks VIA works perfectly. (and no, this post isn’t sponsored by Starbucks – I just love their coffee!) You can buy Starbucks via at your local Starbucks location, in the coffee aisle at your local grocery store, or online: Starbucks Via Instant Coffee. Using a mixer (I used my red KitchenAid hand mixer), mix softened cream cheese with powdered sugar, vanilla extract, and one packet of the Starbucks VIA. I used the Pike Place Roast, which is a medium roast, but you can substitute one of their other roasts, if you prefer. See how the Starbucks VIA starts to dissolve so quickly into the cheesecake mixture? 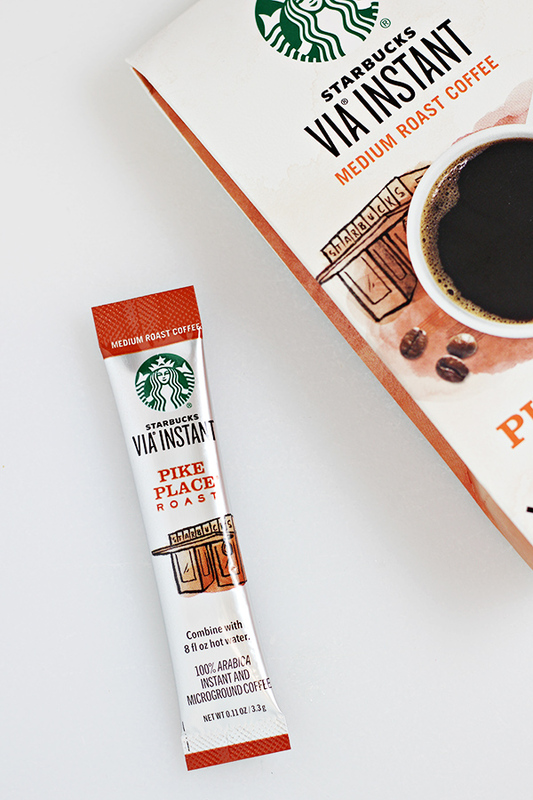 These packets are so great for adding coffee flavor to lots of your dessert recipes! 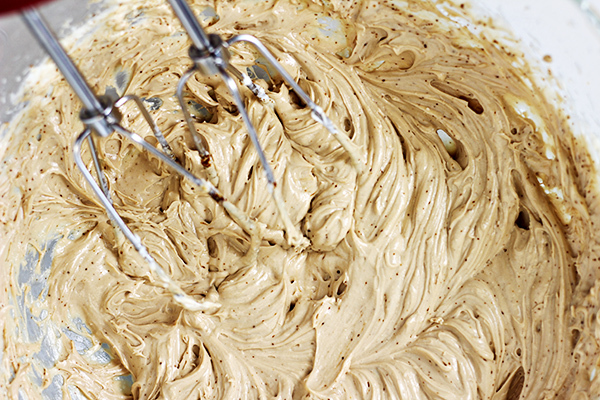 Whip it all up until it’s nice and smooth (as shown below). Then, fold in a tub of thawed whipped topping, which you can find in the freezer section of your store. Divide the mixture among your jars. I ended up with 5 servings (in 4-ounce canning jars), but I could have filled them less full and probably stretched it to 6 servings (we also, may or may not have sampled quite a bit of the mixture). You could also put the mixture in a pastry bag with a very large decorating tip and fill the cups up that way, even going higher than the edge of the canning jars. To finish them off, I chopped up chocolate covered espresso beans, which I found in the bulk section of Winco (my local grocery store). I gave each cup a swirl of whipped cream and then a sprinkle of the chocolate covered coffee beans. Here’s the full recipe, ready for you to print. 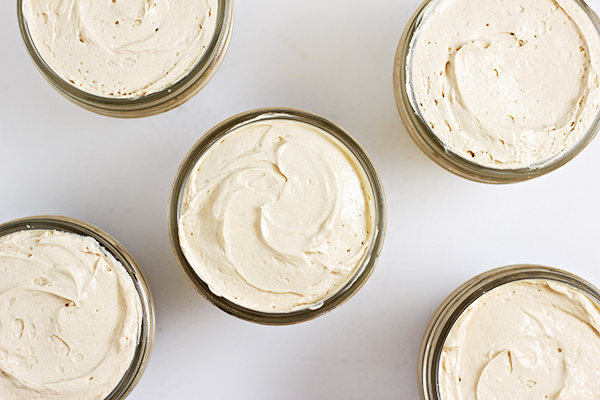 If you aren’t ready for it yet, be sure to save it to your dessert board on Pinterest for safekeeping. 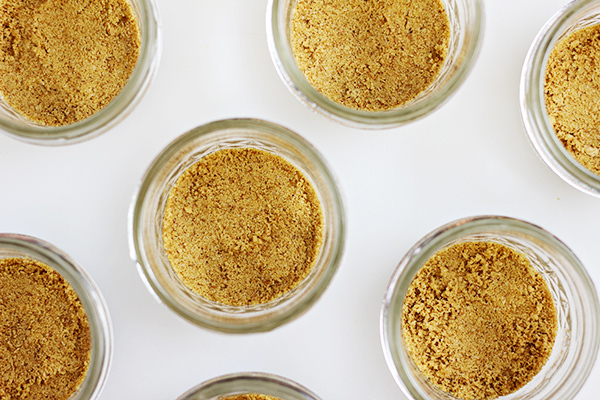 In a small bowl, mix together graham crumbs, sugar and melted butter with a folk until blended together. Divide mixture between small 4 ounce canning jars or other small cups, press down into bottom (you don’t have to pack it solid though). In a large mixing bowl, beat cream cheese until fluffy. On low, beat in powdered sugar until blended. Beat in vanilla extract. Sprinkle Starbucks VIA on top of mixture and beat in until well blended. 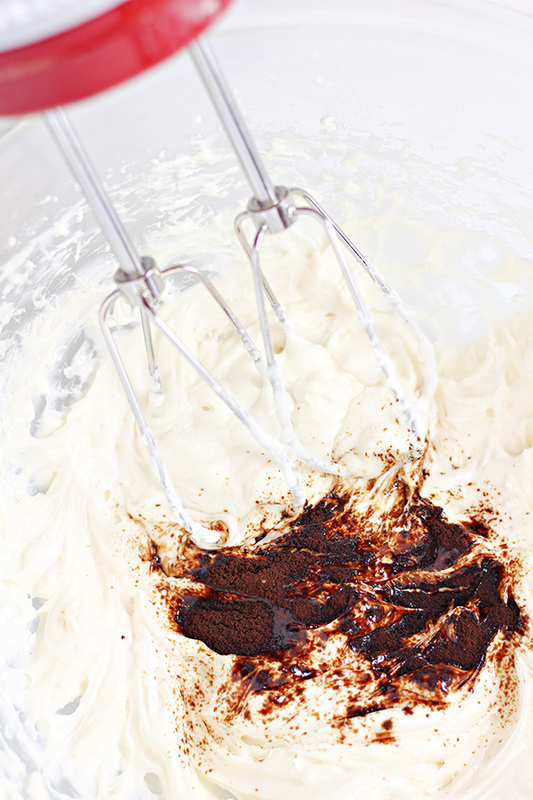 Using a rubber spatula, carefully fold in entire container of whipped topping into the cream cheese mixture until combined. Spoon evenly into canning jars, directly on top of graham cracker bottom. 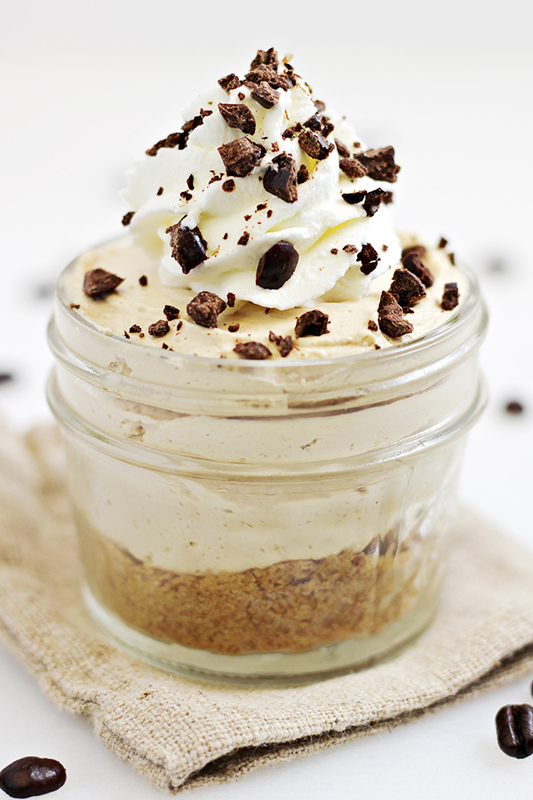 To serve immediately, top with whipped cream or other desired toppings and serve. If serving later, cover and refrigerate until ready to serve. Remove from refrigerator before serving and top with whipped cream or other desired toppings. 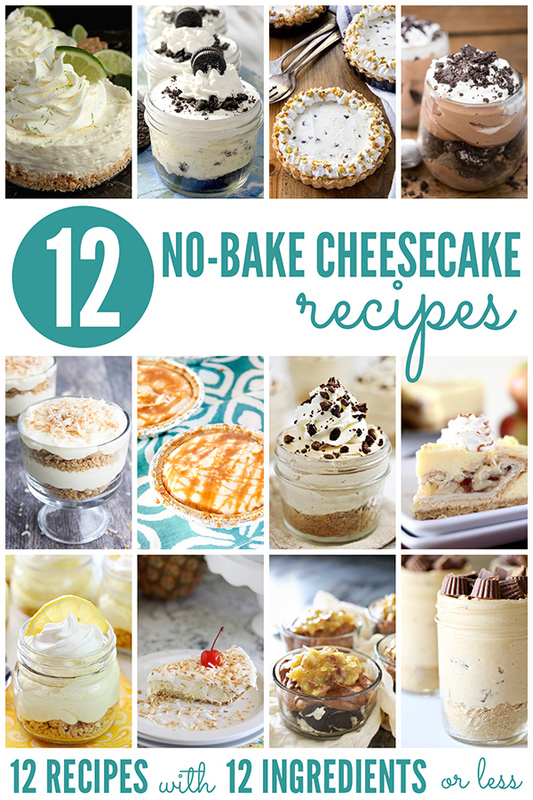 Want more No-Bake Cheesecake Recipes? This was the best cheesecake by far! Everyone was fighting to get a piece or just a taste! It went so fast I didn’t get a picture of it. The only thing I did different was the Starbucks coffee, I used the via instant sweetened iced coffee. It was awesome! As my daughter said it’s off the chain! Had a package of chocolate flavoured cream cheese on hand and only chocolate baking crumbs, so I omitted all of the sugar (and the vanilla extract) to create mini mocha cheesecakes. It’s a keeper!